When you’re launching an eCommerce business, there are a number of different aspects to worry about from choosing your name to developing the right product mix to appeal to your clients. But in today’s virtual world, the quality and clarity of your web design can make or break your business. Don’t move forward with launching your eCommerce site until you spent time thinking through the most important design questions. Here’s a quick primer on the most important design issues that every eCommerce company needs to take into account in order to be successful. Solid branding start with choosing a name, developing a logo and visual identity, and having a professional presentation at all points of customer contact. A great brand serves your company in numerous ways. It helps build trust in a world of fly-by-night internet vendors. It encourages customers to spend their money with you because it demonstrates that you take your business seriously. It also shows the world your company’s values and mission and communicates that to the world in a compelling way. Look critically at your website to make sure that the layout, logo, color choices, and imagery portray the kind of branding you want to be known for. Is your site easy to navigate for first time visitors? Can they look at your menu and quickly figure out where to go to accomplish their task, whether it’s to find more information or make a purchase? If not, start your navigational menu design and by extension your site organization by asking yourself what tasks your ideal customers try to perform on your site. Create a navigational path that makes it easy to accomplish these goals. Frustrated customers often abandon sites where the navigational goals aren’t clear, and this is one of the simplest ways to ensure success for your business. You need a unique eCommerce friendly web design as it is one of the most important investments you can make in getting your site up and running. Is your niche immediately clear when visitors land on your home page? Does the overall layout, look and feel and copywriting support your business goals? Is the design unique enough to help your brand be memorable and to ensure that you stand out from the competition? 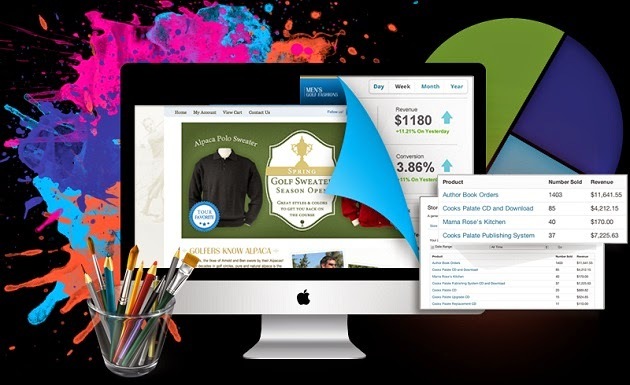 Work with a designer or design company that’s experienced in creating effective eCommerce designs. Success in the eCommerce field requires that business owners pay special attention to the checkout process. What cart, platform or system are you using to keep your checkout process flowing smoothly? Ideally, the system that you do reduces stress by collecting only the minimum amount of information required to process the transaction on as few screens as possible. It’s also helpful to ensure that your checkout process works on a wide variety of devices, from smartphones and tablets to touchscreen computers.